There are Those that Equate Thought to have the ‘Power of God’ and to apparently Influence Reality at the Quantum Level. And, specifically – they would Equate this to Energy and Feeling and ‘Claim’ that ‘being Positive’ in this context, will actually ‘Change the World’ because it ‘Moves Reality at the Quantum Level’. What is Really Interesting about this Claim, is that these Teachers, Masters and Gurus cannot Explain to you, exactly where a Thought is located, where it comes from, how it looks like in its Dimensional Existence, how it is Energized, what Charge moves it, what is the Switch, what is the Relationship between the Thought and the Character that Pretends to speak as if it is ‘Alive’ – they cannot Explain to you how Feelings are actually Manufactured and Compounded as the Energy; the whole Point is completely based on you ‘Experiencing’ an Energy, and then Believing that having a ‘Good Feeling’, means: it must be ‘Good’. Now, if this all comes from our Parenting-System – where Parents prepare Children very Effectively to be Moved by any form of Positive-Experience, which is Equated to some form of Self-Interested benefit in the Physical World: by the Time the Chid becomes an Adult – they’re Positively Compromised to be Easily Manipulated by those that Prey on the Whole Positive-Energy Scenario. Those that prey on this have Realised that they can Move people with Words and Images in their Imagination, to Build a ‘Positive Idealist Reality’ with No Substance. And that they can keep people Trapped in this Positive Loop, by simply saying to them: “Stay away from the Negative. Ignore it.” And obviously, anything that is Challenging this whole Positive – is Seen as Negative. Even if it would Teach you How Positive and Negative Energy within the Mind is Actually Created, and that Positive and Negative Energy within the Physical is a Natural Phenomena, while Positive and Negative Energy within the Mind as Consciousness: is Unnatural. ‘Natural Energy’ Supports Life. Unnatural Energy Abuse Life - as you can see in the Physical World. So, in a way – the Masters that Claim that Thought Moves at a Quantum Level: are kind of Artists, that can Paint Pictures with Words and Images and Stories that Ignites the Imagination of their Followers, and find the Switch that the Parents Implanted with, for instance – Control through Sweets, or Positive Reinforcement Words, and they keep using these Words to Paint Pictures and to Create a Particular Consciousness, that Produce a Particular Feeling. Through this – Creating a Particular Style of Propaganda, to Ensure that the Person Never Investigate All Things as they ACTUALLY function and so – in a way: the Positive Artists and Masters are Con-Artists, because they do Not Create Awareness – they Create an Alternate Reality that is Unnatural in this World, called Consciousness. And, they do it through Continuous Propaganda that are completely Fear-Based, where they Insist one must Focus on the Positive in the Mind and Ignore the Negative in the Mind, which Cause the Consciousness Entity as Personality that is Created: to Ignore the Physical Reality and the Way that Natural Forces move, and to Ensure that the Physical World – exist as a Place that is Best for all Life, Always. Now we can say, that Both the Con-Artists and their Followers Deserve each other, because: they Play the same Propaganda to each other, over and over as ‘Love and Light’ and Positive Thinking and Positive Approaches. But, we can’t Ignore the fact, that they’re Only Trapped in this Loop, because: they don’t Actually Understand what Thought is, what Quantum Reality is and How that Functions. Quantum Reality is Simultaneous Movement, Direct-Interaction. Consciousness, Mind, Thought Movement – moves within the Time Context that is Established at an Individual Level by each Mind, and that will Synchronize in Partnership with other Minds purely based on Self-Interest. But Thought, only moves ONE Thought at a Time, and there is No Simultaneous Movement. 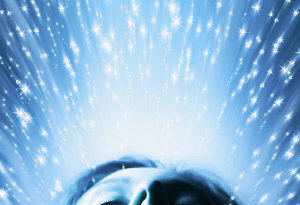 The Thought is also not Independent as a Self Moving Entity, but is Fuelled by Energy, that is Extracted from the Physical Body in an Extremely Painful Process, which the Consciousness Character is not Aware of, because it is not Existing IN the Body, it exist in the ENERGY-BUBBLE called Consciousness, in Complete Separation from Reality. Time on Earth as the Physical, is a Simple, Measurable Point, as it is Presented and Existing as the Measured-Movement between various rather Large Bodies (the Sun/Moon etc. ), that produce day and night and cannot be denied as Actual Reality, to those that now exist on Earth. The REAL Time, which is Earth Time: is the REAL Awareness that Must be Considered in Measuring whether this World is a Positive World that is Best for All, or if it is a Negative World that is Not Best for All. And within this Context one must Investigate your Contribution in Creating the World the Way it is. Because, this is where your Thoughts have an Influence: it makes you Blind to Reality – because you exist in your own Time in the Imagination of your Illusion, which you Charge with Unnatural Energy, Unnatural Colour, Unnatural Light – and then claim that this Unnatural Light is ‘Real’ and claim that this Positive Energy is ‘Love’. While, where Real Light exists, which is on Earth and Real Love should exist as What is Best for All Life: is Completely Ignored, just because one has Created your Thoughts as your Gods. The Reality is: Even a Breath on Earth is More Powerful than All Consciousness that ever existed, because without a Breath: Consciousness would not exist. And without a Body: ENERGY would not Exist in the Mind. The Mind is Not an Independent Existence – it is Subject to the Physical. And what happens After Death, is Also not Independent from the Physical, and therefore – Those that Deny the Physical World: Deny themselves LIFE. And to Mislead the Many that were Unfortunately Programmed by the Parents to Follow Positive Reinforcement, those that Feed on this: Should Stop. Because, you’re not only Harming yourself, but you Harm everyone that you take with you, in your Illusion by Feeding on their Addiction to Positive Reinforcement. The Solution is that Parents should not have Children, if they do not Understand HOW the Physical Body and the Mind in fact Interacts, and if they don’t Understand the Consequences of Playing with the Fire of Unnatural Energy, Unnatural Light and Unnatural Love. And how That can Lead to their very own Children, abdicating their Gift of Life – to Walk Into a Reality after Death, that will be the Biggest Shock Ever Imaginable. And those that Claim that they Travel to the Afterlife: if you Think – you have no Clue what you are saying, because: only once you have Stopped Thought, and become the Complete Physical; will you be able to See what Really Exist Beyond the Transformation Called Death. And if you would Die only as Thought: what you will Continue as is just Thought. And THAT is, as you well know, when you look at your own Thoughts: Really NOTHING – a very fickle thing that one can Delete in a Single Moment. I would Implore, those that Abuse each other with Positivity: Investigate All things, in HOW it actually Functions, and Keep what is Best for All Life, Always, in the Physical - Because you are in the Physical World, Undeniably. Your Future Depends on WHO YOU ARE in the PHYSICAL WORLD, because once you Master the Physical World in ALL Ways: you will be Prepared to Face the Next Dimension. If you do not become Equal as the Physical: Only Illusion Awaits. And Life has no use for Illusions, as Illusions Acts like Parasites. Thanks - very clear post.